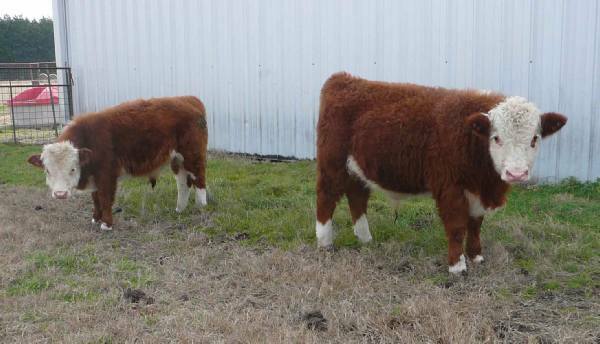 When we bought our first Mini Herefords, the seller told me he was considering breeding his Mini Hereford bull to full size Hereford cows because people normally don’t like the real small size cattle. Later, we started buying some Lowline Angus cattle and I noticed many discussions related to smaller sizes being a negative. We started to realize that there is a Sweet Spot size that was really exactly what we wanted to focus on in the future. 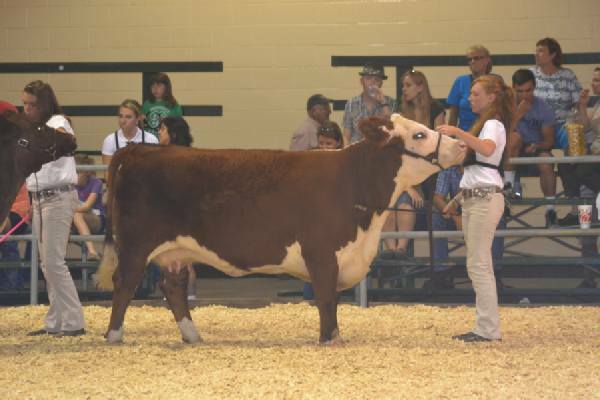 We have purchased a mother and daughter Hereford. 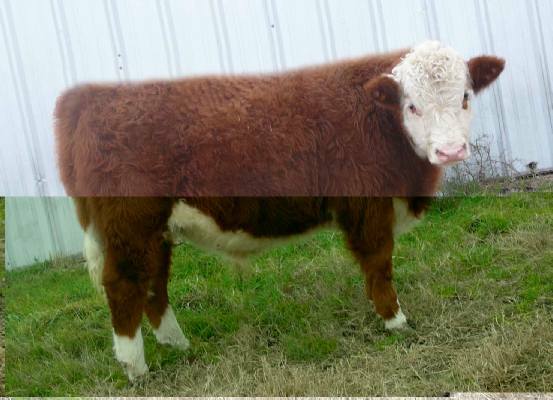 The mother was out of a Mini Hereford Bull and the daughter is out of a moderate size Hereford bull. The genetics of both cows has very low birth weight history. 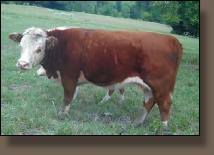 We are breeding both of them to our Mini Hereford bull that is 46” tall and around 1,150 lbs. Which puts him at the top of the Miniature Hereford frame scores. The dam shown to the right is 25% Mini bloodline. She is 51” tall and 1,100 lbs. The second dam is full Mini bloodline and is 43” tall - 750 lbs. There is a clear difference between the two bull calves and that makes a difference in one being more financially justified than the other in being a “Beef breed”. 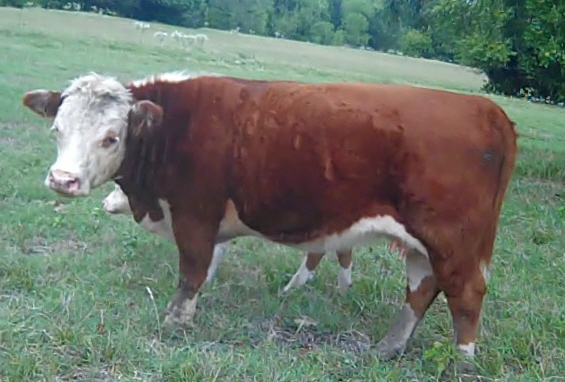 We are hoping to breed the two big Hereford cows with our Miniature Hereford bull looking for a larger size from our bull but a smaller size from the dams. 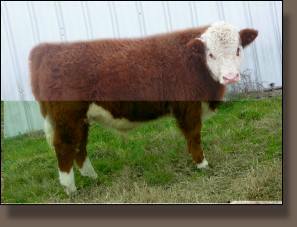 We will be looking to breed our Classy Boy to some of our Miniature Hereford cows to get a little bigger size from them. So far, we have had easy birthing from all of our herd and expecting that will continue as we raise of focus on Classic sizes from some of our Mini cows as the larger cows give us Classic sizes as their calves will be smaller for them. The table below shows the statistics of both calves. At 240 days the small bull calf would be around 370 lbs and he would bring a very low price at a local auction because of the size. Classy Boy would be in the premium size class and bring a very nice price. That makes a major difference in being profitable if bull calves need to be sold like that. That causes breeders to try and sell most of the bull calves as breeding bulls if they can’t be sold as show steers and that causes less than quality calves to be offered as breeding bulls. These are two bull calves One on the left is 7 months old and the one on the right is 8 month old. Cow on the left is the dam to the big calf. On the right is the dam of the smaller calf.